Members of Olympic Climate Action will participate in some of the activities planned in Seattle to protest the Shell Arctic drilling rig Polar Pioneer May 16-18. Carpooling may be available; contact us for details. 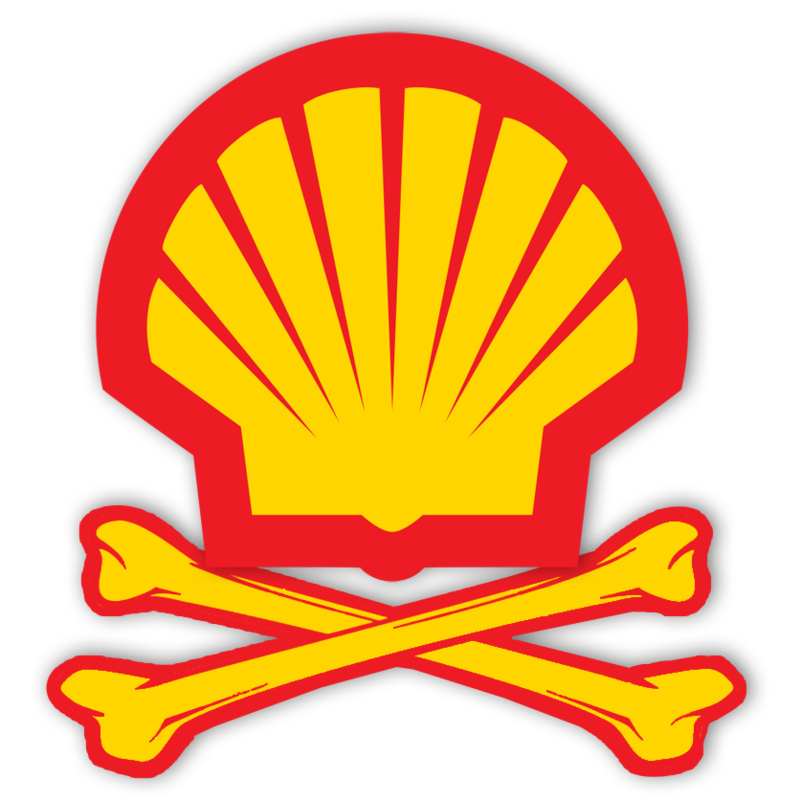 Shell acknowledges that human-caused climate change is a problem and that government ought to set a limit on carbon emissions. Yet they spent $55 million on lobbying in the past five years, generally to protect their interests in oil. They know the world can’t afford the consequences of burning the oil that would come out of the Arctic, even if they could guarantee that they can safely extract it. Their rush to drill the Arctic is a cynical bid to pump the last dollar out of the ground, consequences be damned. And the tiny financial blip caused by their rig in our harbor pales by comparison with the benefits to our local economy of moving to clean energy, with an army of working people insulating buildings, selling efficient appliances, and installing heat pumps, solar panels, and electric-vehicle charging stations. 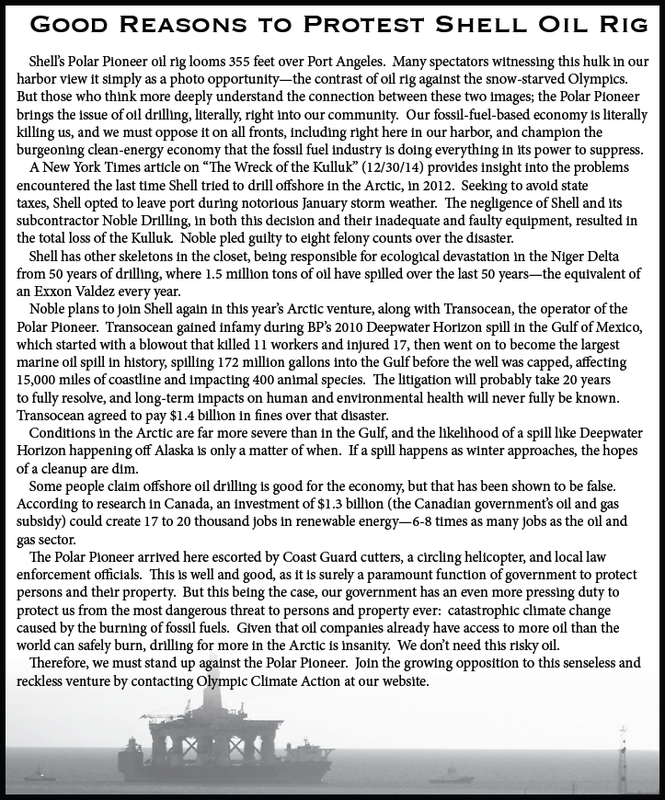 Here is more information about Shell, Arctic drilling, and climate change published by OCA in the May 2015 PortOCall magazine: “Nickname the Rig” contest: We held a contest to nickname Shell’s Polar Pioneer drilling rig, and the winner is…the No-Solar Profiteer! Congratulations to OCA member Adrian Hoban, who wins a $10 gift certificate to the Port Angeles Farmers Market. Speaking of the Profiteer: OCA has been invited to speak about the rig and the dangers it poses at the Clallam County Democratic Headquarters, 124-A West First Street, Port Angeles, on Wednesday, May 13, 6:00 – 7:30 pm. This entry was posted in Actions, Events and tagged oil drilling, protest, sHellNo on 2015/05/02 by olyclimate.